A great addition to the world of smart home devices, the Amazon Echo Show is ideal for those who lead busy lives, as it can help with your shopping list, play your favourite music, entertain the children and even order you a cab. Modern design which looks great on display in the house. Alexa can do more and understands more commands. Needs to be plugged in all of the time to work. Video calling limited to Alexa owners only. One of the more recent additions to Amazon's collection of smart home devices, the Echo Show's touch screen is what really sets it apart from anything that's come before it. 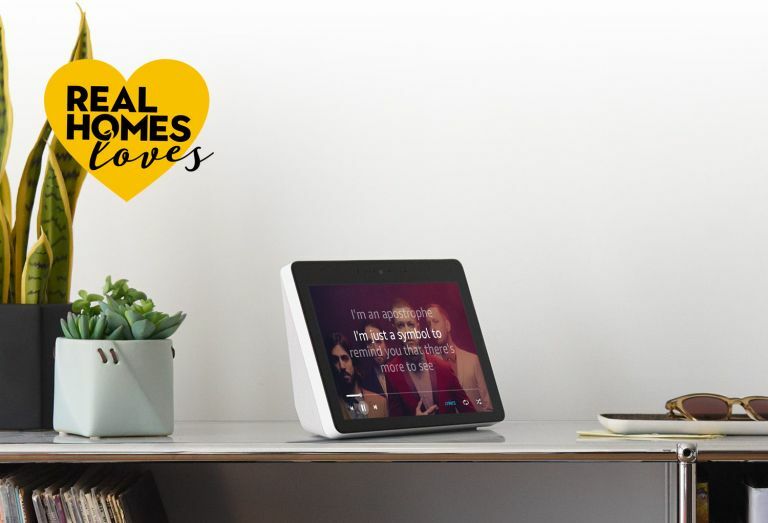 With features such as hands-free video calling, the ability to watch YouTube and trawl the internet, and brand new speakers that have a Dolby sound system, the Echo Show promises to make it easier than ever to control your smart home system with your voice, or by touching the 10 inch screen. But, is it really all that it claims to be? We put the Amazon Echo Show to the test to see just what it can do to help out around the home – read our review to find out if it passed. Looking for more advice? See our guide to the best smart speakers for your home and, if you need convincing, find out what we think the 10 reasons you need a smart assistant are. If you're after kitting out your whole house, our guide to the best smart home tech for your house lists all of the essentials. You'll find more handy advice, information and reviews over on our smart home hub page, too. Who is the Amazon Echo Show suitable for? The Amazon Echo Show is suitable for just about anyone who wants to make their life easier at home. We recommend placing your Amazon Echo Show in your living room or kitchen to make the most of its features. For those who are thinking of placing this smart home product in their kitchen, the Echo Show can set timers, show you videos of recipes, order your food shopping (or a cheeky takeaway), play music and even set a reminder for you to take your rubbish out every week. If you're thinking of placing your Echo Show in your living room or even bedroom, then each morning you'll be greeted with updated traffic information on your route to work, weather information and the top news titles will be displayed on screen. The kids will be kept happy with the games they can play, and during Christmas, there's even an open-an-advent-calendar every day if you ask. If you currently own other Alexa devices, then you can sync them together, so you can tell everyone that dinner is ready or turn off all devices while watching a family film, to ensure that family time isn't disturbed. The Echo Show is happily easy to set up, especially if you're using the quick manual which comes in the box. For those who are newbies to Alexa, you can download the Alexa app to your phone where you can see recent activity on your device(s), and essentially control your Echo Show from afar. This is also where you can add other smart devices such as a smart doorbell or smart thermostat. Similar to other smart home devices, the Echo Show needs to be plugged in at all times in order to work. This is one point which is a slight disadvantage, especially if you want to move the device from room to room as the product will turn off each time. However, if you just want the Show in one room as you're decked out with other Alexa products in other rooms, then this isn't a problem. The beauty of the Echo Show is that it really does make boring or stressful tasks less painful, such as cooking new recipes, as you can see a step by step video to ensure you don't miss a step, you can ask Alexa to re-order bin bags when you discover that you've only got a few left, you can ask how to say 'how are you?' in Japanese, and even watch the morning news while you're waiting for the kettle to boil. There are three buttons on the Echo Show: the first one is a mute button for when you don't want Alexa to respond or listen, and also to turn the camera off; the other two buttons control the volume of the speakers – although you can also control the volume by saying 'Alexa, turn the volume down/up'. Operation is easy – if you want the device to go on standby, you say 'Alexa, goodnight' or if you want to turn it off completely, you can simply just switch off at the wall or unplug it. How have I been using the Echo Show? I started off with the basics, like setting a timer, asking for Google and a recipe for lasagna (highly important). I then synced other apps with my Echo Show, including Spotify so I can play my own playlists, and of course my Amazon account, so that I can order anything on command. I then set up my daily routine, so that every morning when I say 'Alexa, good morning' or 'Alexa, start my day', she tells me any information I may need to know about my commute to work, she tells me the weather and also if there has been any breaking news. I've also connected my calendar so that if I have something on, work or home life, I'm aware. What do I like about the Amazon Echo Show? Well, other than the fact that all of my friends are absolutely amazed by a smart-home device which has a screen and it makes me feel slightly cool, I really like the fact that the Amazon Echo Show really can be used by anyone, at any age. Those who have newborn babies can use it to view their baby monitor, or ask it to play soothing music to help the baby sleep. You can order formula just by asking, and thanks to the screen you can make sure it's the right one. A toddler will be entertained for hours talking to Alexa, with a copious amount of games to play, and stories and jokes to tell. Teenagers can use it to blast their music all day every day, and to check on their favourite football team to see how they played in their last game, or to help with their French homework translation. Young adults can use it to see easy-to-follow recipes to help prevent cooking fails, set reminders to remember bin day, check their local cinema for screenings and take group photos at parties. Adults can do their oh-so-fun finances using Alexa, view their commute to work, whether it be by plane or train, and make announcements to the kids' devices. It's also a huge help when it comes to purchasing last-minute gifts. The elderly can ask Alexa for updated news stories, information on local shops and their closing times or what the weather will be like in a week's time, and for those who are hard of hearing, subtitles can be turned on, so the device works just as well. It can also play the role of someone to talk to if you're lonely, and most importantly, you can connect with other family members so easily, whether it be through messaging, audio call or video call. Now when I have guests over, I'm more often than not in less of a rush thanks to the Echo Show. I'm used to following a recipe from a tiny phone, but now I just ask Alexa to show the recipe, play some music and set a timer for when I need to start cooking or take food out of the oven. All-in-all, the Amazon Echo Show has an answer for nearly all of my questions and queries, and when you get one, you'll wonder how you ever survived without the help. What didn't I like about the Echo Show? The need to be plugged in constantly is a big disadvantage for me, because I'm used to having wireless devices, and because our Echo Show is in our kitchen, when we move into the dining area to eat, I always want to take it along for music, but unplugging and plugging back in can be hassle.